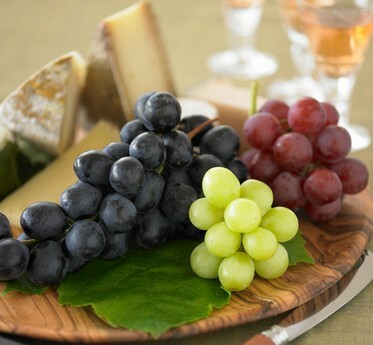 New research presented this week at the Experimental Biology conference in San Diego, California, suggests that grape consumption may be able to positively affect anxiety and related hypertension, as well as cognitive impairments associated with anxiety. Researchers observed a protective role of grapes on anxiety-like behavior, learning and memory function, and hypertension in rats. The researchers attributed these benefits to the antioxidant effect of grapes. The researchers noted that while anxiety disorders, cognitive impairment and hypertension are distinct and complex diagnostic categories, they also share key similarities and can often overlap. For example, of the approximately 40 million people in the U.S. that have anxiety disorders, 10 million of them have hypertension. Additionally, oxidative stress is thought to contribute to learning and memory deficits, although exactly how this occurs is not yet clear. This study, conducted by a team out of the University of Houston, investigated the role of oxidative stress in the combined occurrence of anxiety-cognitive impairment and hypertension, using a rat model of oxidative stress. They found that feeding the animals a grape-enriched diet for two weeks prevented the anxiety-like behavior, learning and memory impairment, as well as the rise in blood pressure that was observed in the rats with induced oxidative stress but no grapes in their diet. The study was supported by two grants from the National Institutes of Health, and a Summer Undergraduate Research Fellowship award. Grapes were provided in the form of a freeze-dried whole grape powder by the California Table Grape Commission. The Experimental Biology conference is a multidisciplinary, scientific meeting focused on research and life sciences, covering general fields of study such as anatomy, biochemistry, nutrition, pathology and pharmacology. The conference is comprised of nearly 14,000 scientists and exhibitors.